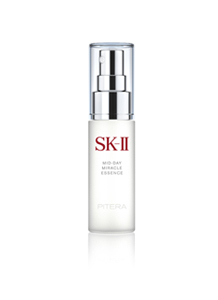 Containing a high level of Pitera™ with unique MoistureLock Complex in fine particles that can penetrate through your makeup and lock in moisture, the SK-II Mid-Night Miracle Essence hydrates your skin. It also has a cooling agent which refreshes your skin at night after being exposed to environmental stress during the day. This lightweight miracle essence spray is quickly absorbed into the skin in fine particles, even over makeup. 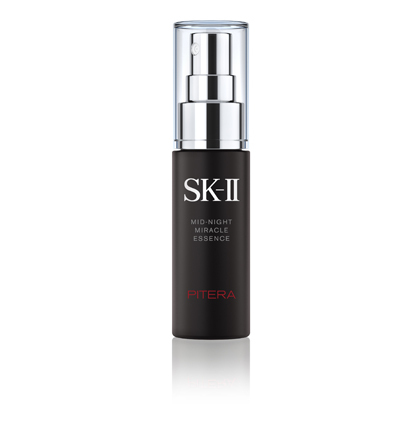 Spray onto skin from a distance of about 20cm as desired, with eyes and mouth closed. Can be used over makeup.